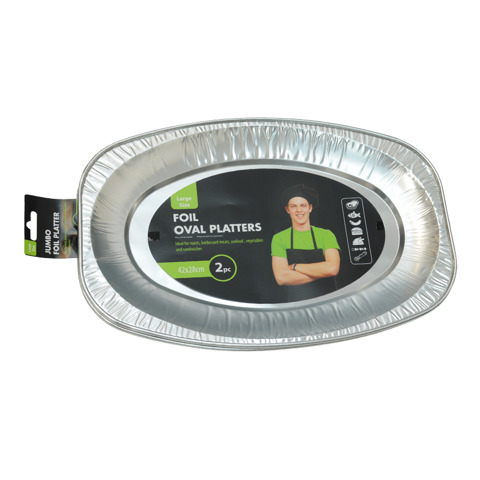 Foil Oval Tray 42X28Cm 2Pk. 42 x 28cm Platter l Approx 2cm Deep. Silver Foil. Aluminium Foil. 0 Packaging: Colour Label.